Reference for the NIST Framework for Improving Critical Infrastructure Cybersecurity. 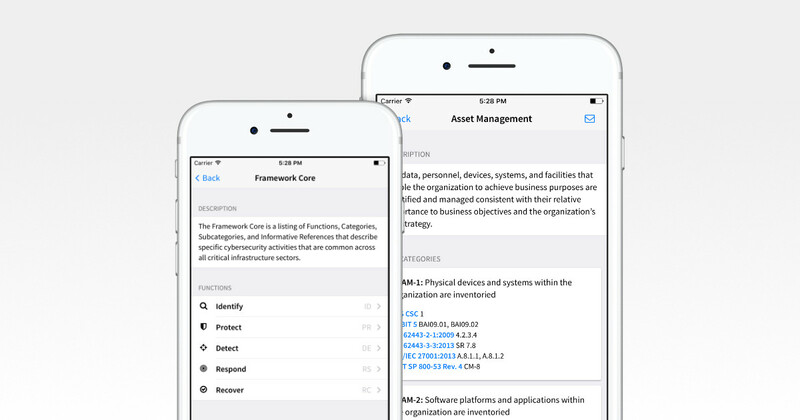 NIST Cybersecurity Framework is an iOS reference app for the Framework for Improving Critical Infrastructure Cybersecurity, by the National Institute of Standards and Technology (NIST). The Framework Core provides a set of activities to achieve specific cybersecurity outcomes, and references examples of guidance to achieve those outcomes.